Hi guys! Yesterday the cover was revealed for When Summer Ends by the lovely Jessica Pennington. If you haven’t gotten a chance to see it yet, buckle up and scroll down to see this gorgeous book! I had the chance to be part of Jessica’s street team for Love Songs & Other Lies and I had a blast. Be sure to check out that post (and book!) here. Summary: Aiden Emerson is an all-star pitcher and the all-around golden boy of Riverton. Or at least he was, before he quit the team the last day of junior year without any explanation. How could he tell people he’s losing his vision at seventeen? Jessica is also giving away an Advance Reading Copy (ARC) of When Summer Ends. Click this link to the Rafflecopter to enter! Thank you to Jessica for asking us to help with her big reveal! I’m so excited for this book, guys! I loved Love Songs and this one sounds like another perfect beach read for next summer! Hey there! Happy Monday! I feel a little dead inside. I recently started watching Glee again, and now I’m struggling to decide which to do – read or watch Glee. Seriously, how do you people choose?! Someone help me! Anywho, here’s some news for you today! Last week Thursday EpicReads shared Jennifer Aniston joining the cast for the movie based on Julie Murphy’s latest novel Dumplin’. Dumplin’ was published in 2015 and was well received among her fans and new readers alike. No definitive details about the movie’s release has been revealed yet. The tour for Jenny Han’s new novel was released last Wednesday. Always and Forever Lara Jean, the third installment of the series, is set to be released May 2nd this year. Stops begin with her release party in New York City at Powerhouse Bookstore (RSVP for that here). A few stops will include guest author Jennifer E. Smith (Windfall) and will end with a farewell party in The Last Bookstore in Los Angeles. Hey there! Can’t wait to see what’s coming out this week? No worries then, I’m here to tell you! I’m sure there are more coming out, but alas I cannot remember or find them. Click here to see the full story and see the cover! Entertainment Weekly also revealed the cover along with an excerpt of the book. What do you think? Looks great doesn’t it?! I haven’t read any of Lu’s books aside from Legend but I’m sure I’ll get around to reading them at some point (hopefully anyway). Hi book lovers! I’m coming to you a day later than usual because I’ve been extremely busy with everything but no fear, I’m back. I’m so excited for this week’s releases guys!! Last week Monday Bardugo announced the next book set in the Grishaverse world titled The Language of Thorns. It’s a collection of short stories that are set in this magnificent world. The book is set to release this September on the 26th so mark your calendars, fam. See the formal interview she gave to the L. A. Times and the full list of stories to Bustle. I promise I would include more but I just don’t have the time (or energy) right now so here’s a link to EpicReads’ awesome compilation. Hey there! Can you believe it’s already almost February? I can’t wait for some February releases, but here’s the last batch from January that we can be hyped about. The series is set to release on Netflix on March 31st this year and is based on Jay Asher’s novel. On Instagram, producer Selena Gomez shared the trailer. See it here. This past Friday EpicReads shared the first two chapters of Brittany Cavallaro’s coming book The Last of August which is the sequel to A Study in Charlotte. The series is a twist on Sherlock Holmes and this time our favorite detective is a female. The first book was a hit when it was released last March, and the next book is set to release this Valentine’s day. If you’d like to know my thoughts on A Study in Charlotte click here. That’s all I’ve got for now folks! Have a wonderful week! Hello, hello! Here we are with another new week of great book releases! Honestly this year is going to be a great year in books, I can feel it in my bones! I don’t know about you but I absolutely adore Kasie West and her writing. My first exposure to her was The Distance Between Us and I loved it so much that when I finished I read it again immediately. Her newest novel By Your Side is set to release January 31st and I cannot wait! Kim Savage sold her third book with Fierce Reads. It’s titled In Her Skin and is another psychological thriller. The planned publication is February of 2018. The author’s debut is After the Woods and has been a hit ever since. Her second book Beautiful Broken Girls is going to be published February 21st this year. That’s all I’ve got for now guys! Hello there! Here we are kicking off the first week of October with some killer releases. I freaked when I saw this full cover! Jenny Han has been teasing readers on social media throughout the week prior to the full reveal. She posted many behind-the-scenes photos of the shoot for the cover. In an interview with Entertainment Weekly, Han discusses her writing process for Always and Forever Lara Jean as well as the cover. You can view that here. The expected publication of this is April 4, 2017 so we’ll have to wait a bit for this one still. Can we admire this gorgeousness? 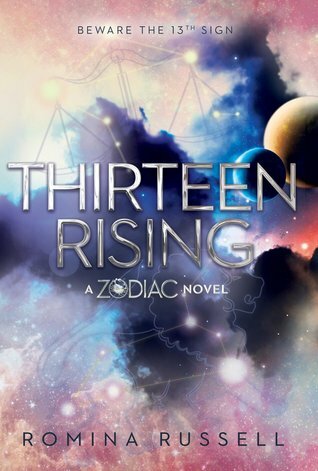 Romina Russell (aka Romina Garber) released the title of her fourth book in the Zodiac series as Thirteen Rising. 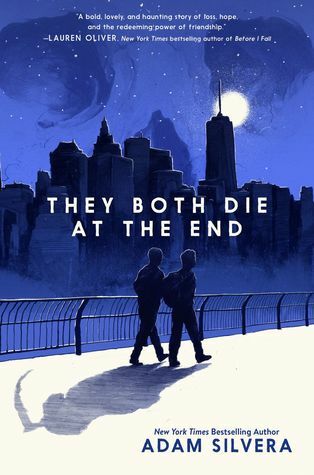 The book does not yet have a synopsis released, but the cover was revealed along with the title. Instagrammer and BookTuber Caden (@athousandbookstoread & A Thousand Books To Read) assisted Garber in her celebration of this event. One of the newer YA anthologies, Because You Love to Hate Me is a unique collaboration between BookTubers and authors. Authors include Marissa Meyer, Renee Ahdieh, April Genevive Tucholke, and many more. It follows the tales of many a villains, however no synopsis has been released. To read the full article and excerpt click here. I hope you all have a wonderful rest of the week!